Compressed towel that expands after being placed in water. Awesome item for every kid. The adults will also be quite amused. Dimentions of the extended towel: 30 x 30 cm. Great as a hand towel when travelling. 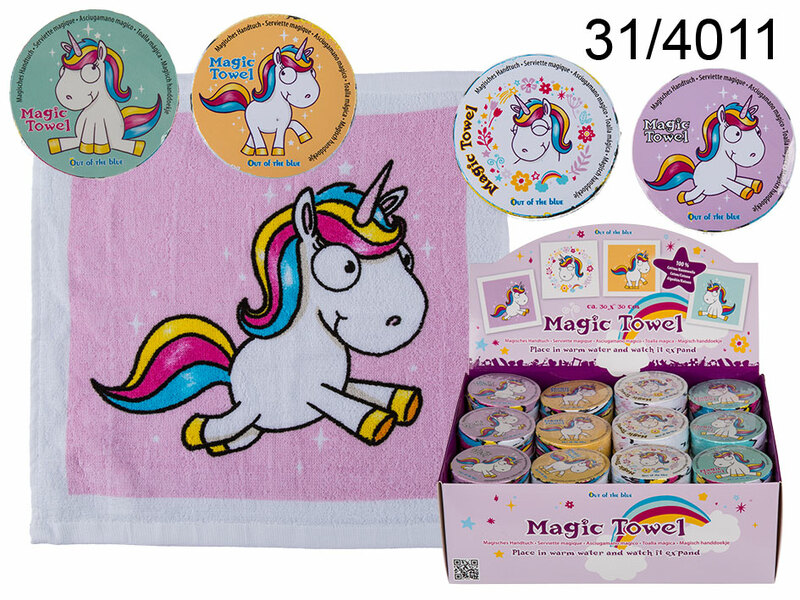 Several patterns with colourful unicorns available - assorted. When buying 48 pieces display stand is free of charge.